Huoxing Financial Review Prologue: With 34 years’ obsession over operating systems, this programmer, who was deeply involved in the development of Microsoft Windows’ underlying modules, despite several failures, now has the opportunity to rebuild the internet from the ground up due to the arrival of the blockchain. In fact, this may be the biggest opportunity ever in the world of blockchain. Beijing, March 19, 22:00om: Elastos founder Rong Chen discusses Feng Wang’s 10 questions in “3 O’Clock Huoxing Financial Entrepreneurial Study Group”. Discussion guests — Rong Chen: Founder and Chief Strategist of Elastos, Director of the Elastos Foundation. Rong Chen graduated in 1977 from the Department of Computer Science and Technology at Tsinghua University. He first studied operating systems at the University of Illinois for seven years, and then contributed to the development of the underlying modules of the Windows operating system for eight years at the Microsoft headquarters. After returning home, he focused his work on operating systems for 17 years. In June 2017, the co-founder took part in the planning and establishment of the Elastos Foundation to support Elastos, a blockchain-driven Internet project. 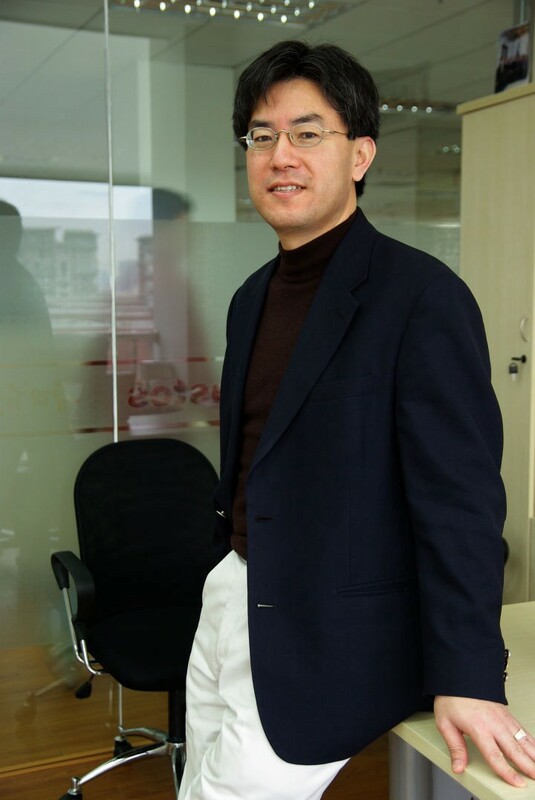 Discussion host — Feng Wang: Founder of Huoxing Finance and Line Kong Group (HK.8267), Geekbang venture capital partner, and former SVP of Kingsoft. Feng Wang: I still like to call you Teacher Rong Chen, but it’s better I jump into questions people want answered first. You have made the Elastos public chain, so accordingly you should be part of the chain circle, but people who truly understand the blockchain are becoming more and more difficult to separate from within chain and coin circles. Yesterday, Ethereum fell below RMB 3000, diving 16% in one day. Although there was a rebound today, the global blockchain digital currency market has fallen into a bear market in the past two months. What do you think is the root cause of this rapid decline? Do you wonder if Ethereum fell to RMB 1,000, will it cause a complete collapse of the currency circle? Regarding the recent market conditions, it is very worrying. In the past three months of market value fluctuations, NEO fell from US$17.6 billion to US$5.5 billion; Qtum fell from US$6.4 billion to US$870 million; Tron dropped from US$13 billion to US$1.6 billion. Your Elastos fell from US$531 million to US$207 million. As a practitioner of the blockchain industry, what is your take on this trend? Rong Chen: I have been working on operating systems since 1984. It has been thirty-four years now, which makes me among the oldest people in China who work on operating systems. The recent decline in the currency price was actually due in large part to its rapid rise. Everyone knows that there are more than a thousand kinds of Tokens, but those with real technology or high traffic are few and far between. Some people say that in the era of mobile Internet, we focus on traffic; just like in the era of digital Token, we must do contracts. Judging from my 18 years of entrepreneurial experience, it is very, very pessimistic to actually do technology and contracts. I do not believe that Ethereum is just doing contracts. Actually, Bitcoin and Ethereum are working on accumulating lots of users. Since Bitcoin went online in 2009 until 2012, the market just needed to be gradually discovered by people, and by 2013, the first wave of people had come on board. Afterwards, just like Ethereum was financed off Bitcoin, Ethereum later became a source of financing for many ICOs. This is actually the result of a large amount of traffic, that is, people need to be using it, which led to timely conditions. I think that Satoshi Nakamoto’s invention is excellent. Ethereum’s smart contracts are also great. The concept is good, and it solves the important problems in the world. However, from the perspective of the amount of code and the quality of the protocol for programming, it is not necessarily much more difficult than TCP/IP. Technology is that which supports traffic. A technology without traffic is actually very difficult to execute. So I think that many blockchain startups have recently positioned themselves to work on contracts and technology. They have made the same mistakes as me when I returned to China in 2000. When I came back to China, I felt that using C++ to rewrite .NET would bring about major technological advancement. Therefore, I was committed to doing this, not paying too much attention to the market. The final lesson was very painful. Many blockchain startups today have actually made the same mistake. To immediately want to improve on Ethereum and Bitcoin makes sense, but the problem is that because there are no customers, there is no future in it. Feng Wang: Although I haven’t seen you before, I’ve been told by your good friends, they say what you did is not easy, and that your technology is amazing. You weren’t able to find the best opportunity to enter the market, so you have been back in China for 17 years. After Windows 2000, Microsoft had been exhausted. Now that it is an embedded OS, almost no one cares about the operating system after the Web arrived. In the era of mobile Internet, the kings of the castle are Apple and Google. Did you feel like you were always just missing the right time? After working so many years on operating systems, it was hard to catch up with the blockchain. When you finally caught up, you discovered that compared to the younger technology entrepreneurs, your company’s market value wa still substantially lower. Did you feel like it was unfair? In addition, I have heard that people who can work on public chain development are very scarce. Today’s market is so cold. DO you worry about the instability of the core technical team? Rong Chen: I look neither at the price of the currency or at age. In addition, I think there are actually some experiences that are still quite useful. I used to work on operating systems. In fact, because the operating system is a relatively time-consuming technology, relatively speaking, there are not many practitioners, and neither are there many people who work on the TCP/IP protocol stack. I don’t think there is a lack of people talking about blockchains, today. The absolute number of blockchain talent is lacking a bit. But overall, there should not be that many people working on blockchain. I have looked at a lot of blockchain technology, and most of it doesn’t make sense. My main feeling is that the blockchain is not customer-oriented, not 2C, nor is it 2B. Understanding that the blockchain is a component to the Elastos Web operating system is critical. However, it does not face customers. So, for example, writing a DApp directly on the blockchain is superfluous and time-consuming. Let’s talk about Microsoft. After 2000, Microsoft became more mature and the mobile phone was growing in popularity. Apple and Google began to stand up. It is clear that we have returned to history, and everyone has heard this story before. Windows was invented by Xerox. Later Xerox died, and Microsoft and Apple were born. This round, Microsoft may die, Apple and Google will be born. However, it does not mean that the technical direction that Microsoft originally studied is wrong. Everyone forgets that Xerox invented Windows. Later, Apple and Microsoft took the PC industry by storm. Now that Apple and Google are in full swing, Microsoft seems to be dead in mobile software. In fact, when it was still top dog, Microsoft was still doing a lot of meaningful R&D. I am convinced that these technologies are correct. Everyone often forgets that Xerox brought us Windows (including the mouse and graphical interface), Ethernet, and object-oriented programming. We cannot ignore the impact of these three major inventions on human beings. The idea of SaaS was presented by Microsoft in 1998 and 1999, but it was not fully realized. People think that web service for the masses is SaaS. In fact, web service is still far from reaching our original vision. In a big way, Win10 finally attained what we thought up in 1998 and 1999. For example, Win10 brought the Universal-App. An application can run on mobile phones, tablets, computers, and televisions. As we all know, the mobile phone must be an ARM CPU, and the PC must be an x86 CPU. To make an application today, it has to run on all devices. In fact, to be able to cross ARM and cross x86 is difficult to imagine. However, in the end, Win10 was able to build an application to run on these devices, and other operating systems could not. Win10 announced that there will not be a Win11. Win10 is the final operating system. Why did they do this? First, today is the era of the Internet of Things (IoT) and Edge Computing. You hold your phone and interact with peripheral devices. Can you have a Device Driver? Because of the peripheral devices, it is difficult to synchronize with your Driver. In the past, when you were on a PC, you could upgrade your own Driver. However, in the IoT Edge Computing era, you can’t really force the peripheral devices to upgrade the Driver. (Answer to netizens’ interjecting question) DApp itself is not superfluous, but rather developing DApp on the blockchain is superfluous. Because when one develops DApps on the blockchain, in fact, we return to the Browser/Server Model (BS model). For example, a game directly uses the blockchain as a server, and then uses a mobile phone as a Browser. If several thousand users come together to access the blockchain as a Server, the blockchain obviously cannot support it. Coming back to Windows, in reality, these technologies are very important to today’s Internet. Let’s say several people are playing encrypted kitties, these mobile phone terminals actually have to form another P2P network by themselves, to transmit video, audio, and files. This refers to a two-layer P2P network. A layer of P2P network is a P2P network that we commonly use like BT download; another layer of a P2P network is a blockchain P2P network. Elastos is actually creating this universal P2P network. For example, if you want to download a movie, file, or audio text, this P2P network is actually similar to Skype, or QQ. The first step of this network is to initiate decentralization, and use blockchain technology to remove skype.com and tencent.com. Elastos’s P2P network has already been open sourced. The first cloud-based sample program should be open sourced in the next two to three weeks. The other step is to make the ultimate operating system. Because it is a network, there are all kinds of servers and various websites on the Internet, so their version numbers are very difficult to standardize. Thus, going forward all operating systems will be smart devices, and interactions will occur between services. In this case, the version number of the other party will not be emphasized. Only some of the blockchain’s mature technologies is used on the Elastos Network. For example, on the Elastos P2P network, there must be a decentralized ID. This decentralized ID comes from the public chain of Elastos. Secondly, the public chain of Elastos also provides traceability. Third, having a side chain based on Elastos’s public chain creates scarcity of digital assets. Feng Wang: For a high-tech public chain project, I have always been curious: how do you allocate the Tokens? Whose strategy did you contemplate? What difficulties have you encountered? Among your shareholders are Xiangyang Yang, Xiaosong Liu, Dongliang Lin, and Huobi’s Lin Li, all of which are your fellow Tsinghua University alumni. In my opinion, they are all famous investors. Lin Li also occupies a dominant position in the trading industry. I just saw Xiangyang Yang, one of the leaders of the investment community, a couple days ago in Sanya. When you were distributing the Tokens, did you ever have any disputes? These leaders of the investment world made it public that they were in investing. Were their equity investment ratio and Token allocation ratio allocated according to a one-to-one mapping relationship? In addition, what are your considerations when you cooperate with NEO Hongfei Da and Bitmain Jihan Wu? Rong Chen: I think this issue is a little bit inaccurate. For example, Xiaosong Liu, Dongliang Lin, and Xiangyang Yang, are all my friends. They have provided me with a lot of help recently. They are all big names in the traditional mobile internet industry. Elastos is a community project that is 100% open source and does not have any shares. Therefore, these big investors do not hold any shares. This means, of course, that there is no room for any kind of investment distribution or allocation issues. There is a difference between Utility Coin and Security Coin in currency. Utility Coin, is the currency itself. Just because you have a currency does not mean that you have any percentage of its shares. Conversely, Security currency allows you some rights. Federal governments have strict supervision over Security currency. Elastos is not exactly Security currency, which allowed us to do an ICO in the United States around January 2nd. It was very successful. This was the first coin to pass the United States’ Howey Test, a public offering based on the legal and regulatory requirements of the United States. Like Yang Da, I think their participation in the Elastos project is actually related to the first historical phase of the Internet. In the previous phase of the Web — i.e. when the web browser was first created — no one necessarily had any shares of Netscape. However, serious study of future trends led to the creation of big companies like Yahoo and Google. In fact, many companies took advantage of the opportunity when the Internet was just beginning. I think with what we are doing with Elastos, the Internet has now entered its third phase. In the Internet’s first phase, I just had the chance to participate. When I went to the United States in 1984, ARPANET was renamed to the Internet. I just so happened to experience this phase. At that time, I had an email account, experienced changing my name, and learned Socket programming. It was still very early at that time, so of course we used FTP and email. In 1987, I also participated in the construction of a US supercomputer network using satellites. The most successful part of this supercomputer network was that it led to the creation of the Web Browser. 1987 was too early then for me. I was still in a growing phase in my life. The web browser came around 1990. In 1987, we were studying multi-window, display technology, and then using FTP to continuously pull code and data from the Cray supercomputer, to then display it on a PC. Later, this model would lead to the birth of the web browser. Coming back to our topic, I highly encourage everyone to seriously study the following: first, if an Internet has a decentralized ID, what will our Internet look like? Second, if the Internet is traceable, how much will it affect people and integrity? Third, what if the Internet could have scarcity? If 10,000 books are popular on the Internet, and they can change hands every two or three minutes, we could actually see the creation of true scarcity of goods. If the Internet already has these three characteristics, (we will discuss the progress of several technologies in a moment), human beings have in fact made very good progress. Of course, there are many other things on the blockchain, such as Lightning Network, Concurrency, etc. Everyone talks a lot about this, and R&D should absolutely be done simultaneously. However, because these technologies are still immature, we do not have time to wait for these technologies to mature. We have first used the three more mature technologies on the Internet and have already had a very large impact on humankind. So why don’t we think about the market? Why don’t we think about 2C and 2B business? This is why I don’t agree with the so-called saying make agreements . Making agreements is actually just creating technology. We can already start realizing the things that have a bigger impact on humanity. However, because of people’s understanding of the Internet — there is still a lack of understanding of the basic operating system — we only see the part to the whole and do not see the overall strategic whole. I think this is where I stand apart from many other startup companies. While unsuccessful in the past 17 years, that is precisely why we have value, because we have been thinking about how to get out of this predicament for so long. I think the value Internet step will be a very important opportunity. If the Internet has three functions of traceability, scarcity, and decentralized ID, the Internet can grow. Of course, these three agreements have basically matured. So to then continue making agreements, for example, if some small companies work on the lightning network, it is not meaningless. However, in the short term, we cannot wait for this R&D to enhance Internet capabilities. The technology of blockchain has been open source for some time. It is very mature. For example, Bitcoin’s technology and Ethereum’s bottom level are both good. Some small companies focus on research and development, but instead of 2B or 2C, instead, they focus on agreements and to Venture Capital (2VC). And we all know that the end of the 2VC story is very sad. Nowadays it is not 2VC, but 2ICO, a method which is unquestionably founders being used to make profits for the big coin investors. Young companies are like newborn calves: they are not afraid of tigers. Unfortunately, I have seen many companies die tragically during this Internet era. A new agreement and new public chain are just a premise. Just because a company has an agreement and a public chain, does not mean it suddenly has trust. The establishment of a trusted public chain based on user traffic is especially difficult, mainly because people can’t remember more than three to five trusted public chains. 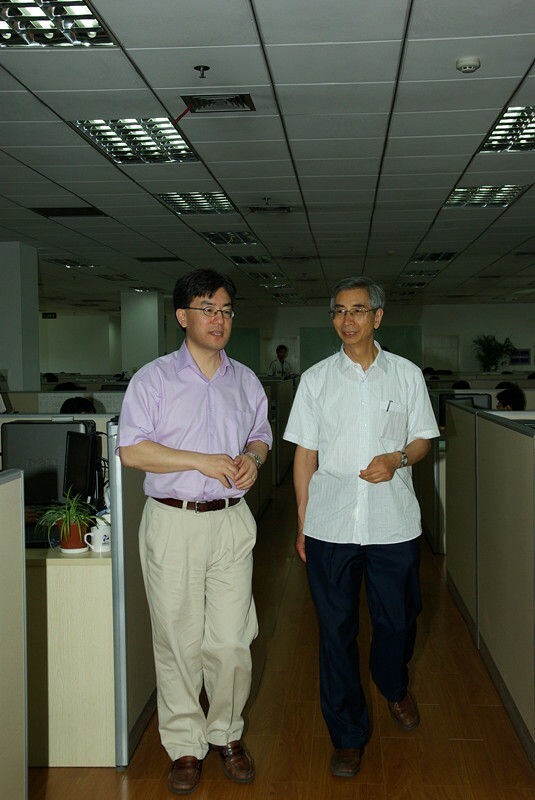 Feng Wang: You have been working on the front line for 20 years, and you are a role model for many programmers. I noticed that the 2004 Programmer Magazine also listed you as the first person on its list of “Top 20 Software Developers in China”. But now you are leading a blockchain public chain project to achieve community-based operations and deploy ecological construction. During your long career in a foreign company and entrepreneurial journey, when did you start to have the confidence to run a business that involved team management, business development, and operations? What are your biggest challenges? Before you started on the Elastos project, it had been 17 or 18 years since you had come back from Microsoft headquarters in Seattle. What was the most successful period during this time? I have met many technical elites who have come out of Microsoft. After returning to China, they have found a very well-known state-owned enterprise or private Internet company to take up important posts. Why are you so determined to start a business? How do you divide work with your co-founder Feng Han? When did you both meet? I noticed that some people in your core team are from the open source software community. As a former long-time employee at a world-class business software giant, how do you work with them? Rong Chen: In 2004, “Programmer” listed me as one of their “Top 20 Software Developers in China”. Of course, I am very grateful to “Programmer.” First of all, I think it is exaggerated. Actually, it is not. In fact, I think the 20 people are not worthy of the title, with the likes of Baidu, Tencent, and Alibaba doing great things. I’m now overshadowed by those giants, so I feel a bit ashamed of the honor. When was the most successful time of my 17 or 18 years since leaving Microsoft and starting a business? We haven’t succeeded in those years. Of course, there are several bright spots. First, we made the first version of the kernel in 2002 and 2003. In 2007, we made a complete smartphone. It was one hundred percent coded and designed by us. We didn’t borrow from anyone else. This was a very difficult task, but in the end, we couldn’t sell it. That’s life. Right after we finished our smartphone, the Apple and Android versions came out. Our mobile phones were mass-produced and later used by some customers. The feedback was that it was more stable and more efficient than Windows CE. Back then, the quality was industrial standard. However, Android and Apple are too strong. I knew it was not going to be possible for us. Later, we sold the company to Foxconn. With the support of Foxconn, it made its second start in 2012 with a focus on industrial Internet. At the time, I felt that using C++ for end-to-end security of industrial Internet of Things and smart homes would be an opportunity. At the same time, Microsoft has enabled the Win10 program to write .NET in C++. I think this is a very important opportunity! Later, the project basically took shape. Our smart router reached product level, but of course, there would be no production. We did, however, do a product roadshow. At the 2015 Guiyang Big Data Conference, State Council Deputy Prime Minister Kai Ma and Taiming Guo both attended. However, for various reasons, we decided not to go forward with production, so that brought it to a halt. One year later in 2016, I suddenly felt that there was opportunity in the blockchain, so I decided to start shifting my work to the blockchain. The reason for this is very simple. At the end of 2012, I started working on industrial Internet of Things. For example, we started to make this P2P network, and one one hand, we made intelligent routers and on the other hand, started making mobile phones. I demonstrated our mobile phone in the United States two days ago. If you are interested in seeing my demonstration, you can see it on YouTube. The end-to-end security of mobile phones and smart routers directly takes over the network, which is the most basic point of network security. Feng Wang: You have always stuck to your dream of operating systems, which is very difficult. From the beginning of the new generation of Microsoft’s .NET operating system architecture, to when you came back to China and participated in the development of TD-SCDMA. And even later in 2012, when you wrote the “Internet of Things Operating System” with the support of Foxconn. I was under the impression, when reading news about you over the past few years, that Elastos was a big data, cloud-based operating system. I also noticed that these operating systems did not achieve any real commercial applications. Why? From the micro-computer desktop era, China seems to have never made any achievements in the operating system. Yesterday, I saw UCDOS inventor Yueqiao Bao, and he said he is unique. A while back, my former boss Shan Jin, an important earlier founder, asked Bojun to create the WPS era, but this was only based on the text form editing of large applications. Red Flag Linux can not be considered a truly independent operating system. In the era of PC, Microsoft Windows rules; in the era of mobile phones, it is Apple’s iOS and Google’s Android. Chinese people seem to have never succeeded at the operating system level. I would like to ask Mr. Rong Chen, why is there a chance in the blockchain era for the operating system? In addition, I want to ask a separate but related question: does the blockchain really need an operating system? Rong Chen: Of course it needs an operating system. Actually, what it really needs is a virtual machine. Virtual machine technology was developed in 2013. Yesterday, I sent a message to my Wechat Moments. Our virtual machine is able to run Hello World on iOS and Android, today. This is actually a very great development. Our current slogan is to build the so-called Smart Web is to make the next generation of the Web. Smart Web is the Web that can run programs and DApp. So having a C++ browser is very important. Blockchain, in fact, does not require an operating system. This is because we understand the operating system as something that runs applications. This past operating system is running hardware abstractions, doing the kernel. Now, hardware abstraction is now very mature. There is no longer much space for improvement in Linux. Because Unix has been publicly used for more than 40 years, it has also affected Windows and, of course, has affected Linux even more. Actually, current operating system is implementing virtual machines, that is, a multiple virtual machine operating system. From another perspective, the virtual machine is where we want to support any kind of application by providing an SDK. For example, should we provide DApp or App? The App is consumer-facing. The software the consumer sees is called App, but the software the programmer sees is not really the App. For example, if there is a circuit board and an operating system on the hard disk, then the software written on the hard disk is doing NAS, fault tolerance, and read and write balance. For example, skipping over a bad section will be up to the software to complete. However, these softwares are basically unknown to consumers, and they do not make much sense. For Red Flag Linux, China has made many attempts in the past ten-plus years. There are also many organizations that are operating their own operating systems. Some key government departments and the military use this operating system, and it is absolutely necessary. However, although we have worked on the operating system technology through research and development for 17 years, and even did research and development projects, in the end, because we did not face customers, the results are not satisfactory. Feng Wang: I have also worked in the general software industry for 10 years. I know that operating systems are different from PC applications or APPs on our mobile phones. It is good practice to write applications in people’s existing ecosystem. Historically, the operating system has always needed the support of hardware. The main reason Bill Gates was able to create his operating system was because he first got IBM’s business and won the Wintel alliance with Intel founder Andy Grove. Apple has always done its own hardware, Google has a powerful search engine and Web base-based applications, coupled with the ecological Android camp. What I want to ask is, in what environment will the operating system of Elastos be running? Who will support building the applications? Also, we know that there is no guarantee for the security of the centralized Internet era, such as DDOS attacks, Trojan horses, and privacy leaks. Can security problems be solved once and for all on decentralized operating systems? What are the new challenges? Rong Chen: you ask an important question. My biggest heartache after being back in China these years is that there is no hardware capability. I personally made mobile phones and also worked on smart routers. But just like the supply chain, doing this in a stable way, including molding, is actually a completely different issue. People’s energy is limited, or their ability is limited. In any case, I did hardware several times and ended in failure. As Microsoft was able to find IBM and cooperate with Intel at that time, being in the right place at the right time and converting on that opportunity is incredibly difficult. Whether it was luck, the right opportunity, or just the right decision, Microsoft really came out well. I think today’s opportunity is that the next generation of operating systems should be virtual machine operating systems. Virtual machines are actually separated from hardware. For example, I was in the United States two days ago to show the mobile phones we made two years ago. Recently, some people were doing blockchain mobile phones, and then they got some investment. People thought that when I showed this cell phone, it was to demonstrate we are doing blockchain mobile phones. In fact, this statement misled everyone. I simply do not think we should use blockchain to make mobile phones. Because making blockchain mobile phones runs into many unsolvable issues, like cost, manufacturing supply chain, and quality problems. Challenging Samsung, Huawei, and Apple is not a good idea. But still, congratulations to them for acquiring the financial resources in the ICO market. Let me explain that what I demonstrated in the previous two days was just our product we made two years ago. I didn’t want to mislead anyone. I wouldn’t do this for mobile phones. If we made a blockchain mobile phone today, we would be the most advanced in the world, but I don’t think this is a sustainable path, so I won’t go in this direction. The original virtual machine could run many processes, but now it can run multiple virtual machines. This virtual machine is actually easily explained. A process is just the isolation of an address space. So, like we did DOS that year, it is actually a single process, multitasking concurrency. As long as the process is equipped with a hard disk, it is a virtual machine. Do not think of the virtual machine as running such heavy things as Linux or Window. In fact, the Java VM is actually a virtual machine. However, the Java VM has two major problems. This is why I left Microsoft in 1999, because Microsoft used the CLR (Common Language Runtime) to compete with Java and abandoned the C++ route. The two major problems with Java are that Java cannot fully write programs on its own, because when it writes a game engine, it has to use Linux and go through the JNI to the underlying operating system. Speaking of this, Java programs are absolutely Turing complete. But Turing Complete does not mean that it can fully run the program on its own, because people have a physical choice and because hardware is limited: there are speed, memory, and power management limitations, and so on. It is impossible to run a program for a hundred years just because you are Turing Complete. People would not tolerate this, right? Many blockchain entrepreneurial projects are quick to say their project is Turing Complete. I think this statement is completely misleading. Being able to program is not a big deal, right? Of course, for example, Satoshi Nakamoto chose not to do Turing Complete. He had his own ideas. For example, if you put the Elastos public chain on the Elastos.net network platform, it will be hidden. We will not support smart contracts on the Elastos public chain. If it does not support smart contracts, imagine I write four or five features, why should I make them Turing Complete? Why would I want to allow people to attack it? So the smart contract is actually a user-state thing. Being able to write both user-state smart contracts and also be Turing Complete is absolutely incredible. Turing Complete smart contracts is an Ethereum invention. We also respect this, and we will support smart contracts on the user-state side chain. It is also very likely that we will support EVM in the future, but for now, we will use NEO’s smart contracts. The second problem with Java is that it does not do end-to-end. In fact, the Java language was invented in 1992 for set-top boxes. At the time set-top boxes had x86, Alfa or PowerPC. Because the set-top boxes’ CPUs are different, Java is sent to the set-top box and compiled on demand. But at the time, they did not think up that Java could run on the Server. If Java does not run on the Server — that is, both the Server and the client have to run Java — it is possible for the intermediate network to be taken over. This is Microsoft’s original intention for designing .NET. That is, the server uses Microsoft’s cloud, then on the end it runs Microsoft’s CLR. Then this time when it runs its own end to end, through a technology called Reflection, you can dynamically generate RPC, the software packaged as a service, is a software black box. Then define the interface, define the event, have the interface, with the event you do not have to control whether the software service is written in Java or written in x86 or ARM. You just call it, or you can put the hardware into service. In that case, RPC generation can circumvent DDoS attacks and avoid privacy leaks and viruses. Because TCP/IP is so flexible, users can send duplicates or send DDoS to the same address. These are the initiators of today’s Internet instability. For example, the WeChat applet is actually an operating system. In WeChat, there is a built-in embedded browser. You give the URL to find the website and its public serial number. The website’s public serial number is actually the website. End-to-end is then managed by Tencent, so at this time, the WeChat public serial number can be forged by the public to initiate a DNS attack. The possibility of a DDoS attack is minimal. Needless to say, the ID is issued by Tencent, so when you search someone on Tencent, the chances of impersonation are very small. So now you see that an applet is an operating system, with users and storage. But the problem is that when you try to access a Taobao website, you will find that Tencent has blocked it. Obviously, this is not a fair nor neutral approach. The same problem exists for Google and Apple. For example, Apple’s iPhone is more secure than other operating systems, such as the end-to-end management of iPhone and iCloud. But Big Brother takes a 30% protection fee, whether you like it or not, right? Now that we have a blockchain, we can have decentralized IDs. If we can achieve end-to-end security, then we don’t have to pay big brother that 30% protection fee. It’s that obvious. Speaking of decentralized IDs, let’s talk about what we are decentralizing. Actually, everyone hopes to have multiple kinds of decentralization. Let’s explore the greatness of the blockchain. For example, with decentralized IDs and the automatic operation of the blockchain, people who dig mines are obviously going to mine for their own monetary benefit. Objectively, if you build this blockchain network, and then let it run automatically, then this is operational decentralized. For example, if we make a phone call and have an operator, then our two mobile phones are P2P. Now, remove this middleman operator, then we now have operator decentralization. Of course, in a broad sense, through Tencent two people use WeChat voice to speak on the phone, so to remove Tencent is to remove the operation center. For example, on Weibo, someone writes a blog and people see it. There are authors and readers. Sina is an operating center, and Facebook is also an operation center. We can remove these operation centers through the automatic operation of the blockchain. This what is called DApp. People often ignore the other kind of decentralization. I’ll talk about it here and maybe it inspires people to learn more. It is media player decentralization. What is Media Player decentralization? Broadly speaking, the way we look at software today, most software is a kind of center. For example, MP3 is played on media players, movies are played on media players, Doc files are shown through Word, and HTML is shown by a browser. So software is a big intermediary. So software acting badly is not uncommon. For example, speaking to the browser, why do companies make browsers? It is to remove other people’s ads, and then replace them with your own ads. Or, think of a media player that plays pirated media. Whether the movie is played 10,000 times or 1 million times, only the player knows, yet the author does not. So who counts which ad spots around a movie and who makes the money for it? Only the media player knows, right? So I mentioned earlier that if the virtual machine technology is able to not access the Internet, then there is no background daemon and it can not install the driver. If a virtual machine can satisfy these three conditions, then it is very difficult to spread a virus. Because you can’t get on the Internet, you can’t send the stuff you steal anywhere. Moreover, a virtual machine runs only one program, just like a PC does. At this time, that virus you want to spread isn’t able to go anywhere, so it is rendered meaningless. That being said, there is always a small chance that it can still be done. These days it is easy to make a movie into a template, or a tool to create a movie game. Or use a song to create a song game. This song can only fast forward, rewind, or pause. In fact, it is not hard to imagine that, if we remove the media player, let it be a program, and the program will automatically play itself. In fact, imagine that virtual machine can run the media player and the media player loads some data. Indirectly, the virtual machine is the media player of the media player. If we remove the media player, we eliminate the secondary piracy, cancel out the software intermediary, and turn all the data into programs. This will give the author more profits. Third, in the past on the Internet, all websites were controlled by one organization. For example, if we want to do supply chain finance now and want to make the website more trustworthy, then we’d run the website through a server. Of course, this is broadly speaking. Behind the scenes, this website may be supported by tons of hardware, such as Baidu.com or Alibaba.com. For the example’s sake, let’s just say it’s one server. What if we turned the website into consensus complete through the use of multiple machines. With each smart contract, there must be a decision made each time. If each person submits a smart contract, and each party approves the update to the web service, then we have reached a consensus website. A consensus website clearly has more credibility. At least in this supply chain finance site, all parties have more confidence. Such websites did not exist on the Internet in the past. Due to the technology of blockchain and the progress of smart contract technology, this kind of consensus website is possible. But I want to emphasize that this kind of website is actually a user-state thing for a network operating system. For example, ten companies want to build a supply chain finance site. They each use their own cloud servers: Ali Cloud is selected, Baidu Cloud is selected, and Amazon is selected. Then on top of this, they use POS to form smart contracts to run the site together. This basically has nothing to do with the public chain node, Elastos’s public chain joint mining, or Bitmain, but its integrity can be recursive. So, for example, a decentralized ID can come from the public chain, and there are some hash values that ​​can also be recorded to the public chain. In the future, these public chain finances cannot be denied and cannot be destroyed. At this time, I actually think of smart contracts as a side chain thing, and also think of it as an applied-state thing. I might offend some people, but I think it is unwise to run smart contracts on the public chain. Firstly, this is because the public chain is not necessary to do smart contracts, and there is no need to be Turing Complete. Of course, to do smart contracts, it is necessary to be Turing Complete, but these are two different things. If you confuse these two things into one, you will naturally encounter efficiency problems. When you encounter this problem, you will not be able to service both sides because of the fact that one computer alone cannot service all users. For example, let’s look at one computer from the perspective of approving an account transaction. The transaction might need 6,000 nodes, that is, there are 6,000 computers working in conjunction to bookkeep. But from a macro view, the book is just one computer. This computer is not controlled by any organization. It cannot be closed, and it cannot be altered. The creation of scarcity is actually a huge part of blockchain computers. But we can’t deny that it is a (very) slow computer. Whether or not you think of it as a distributed system depends on who you are talking to. As a designer, speaking to industry insiders, it is a computer and it is distributed. For example, the Galaxy machine is actually composed of hundreds of CPUs, and imagine each of these hundreds of CPUs has fiber and a main line. Each machine has its own kernel and forms a network computer. But in layman’s terms, the Galaxy machine is a computer. People often get this concept confused. Think of 6000 nodes as 6000 computers at different heights. For example, let’s call the blockchain a computer. In fact, for most consumers, this is a wise statement. It naturally has its own merits on a computer. For example, the Galaxy machine is faster than my PC, but I can’t can’t install a Galaxy machine in my house because I can’t afford the electricity fee. On the other hand, my cell phone is easy to use, but it can’t do real-time smart driving, since the smart driving industry can’t use mobile phones, which would need to be real-time and fault-tolerant. So all kinds of computers have different uses, with various architectures. How could it be that one computer satisfies everyone without someone complaining about speed? So doing smart contracts and DAppa on the Ethereum public chain, and to run many user applications on Ethereum, even if your terminal or mobile phone is running on the front end of the so-called DApp, it is unwise for your background to rely on blockchain. For example, Elastos does not rely on the Elastos public chain as a background, it actually depends on other server nodes as an intermediary, or as P2P. So our public chain only provides a few functions like ID, traceability, and scarcity. It does not provide operational service, right? What services can we provide for seven operations a second? If you think about it, it’s impossible. So you can see people are just making up stories. Feng Wang: Some people are aware of this evaluation: Elastos = a currently unsuccessful operating system + touching on blockchain technology popularity. Don’t be upset by this. In fact, many poisonous tongues don’t give high appraisal to Chinese blockchain projects. People believe most of these projects are AirCoin. Moreover, they believe that Elastos is not developed for the blockchain at all, that because there are only 20 million lines of code, it is essentially an unfinished operating system that has been in progress for 18 years, with some blockchain modules added on. How do you respond to these remarks? Rong Chen: Actually, people who say this are basically correct. We did indeed work on it for eighteen years. We had a few batches of production half-way through. However, life is like that. We did not complete what we wanted to. I don’t have any excuses for it. The reason why I still do it right now has nothing to do with other people. It is because I am willing to do it myself. Of course, it is hard to blame these [crypto] investors, so I will just continue to work hard. In fact, there is quite an opportunity. We believe that the technology has caught up, just as Microsoft was able to achieve the Universal App, to build an operating system that can meet the needs of the Internet of Things. I hope that everyone can realize that this is a key issue for the industrial Internet of Things. Looking back, whether we have 20 million lines of code or tens of millions of lines of code, what is important is that, today, we are quickly moving this code to the blockchain-based network operating system. Actually, this is very advanced. For example, our P2P decentralized network is already open source. It’s been online about 4 months now. Making a P2P Internet from scratch cannot be done in 4 months. The virtual machine that I released yesterday cannot be called version 0.1. Hello world is running anyway. In fact, I just mentioned that if you can automatically generate RPC, you could go without a Daemon or a Driver. I have yet to see a “sandbox” open source version. So my goal is to somehow contribute to humanity. If others have another view, then good for them. The name Elastos is still quite complacent. I came up with the name in 2002. If you look closely at Elastos, it is E-Last-OS. Later, when Amazon started working on cloud computing, they called it elastic computing. Why is it called elastic compute? Elastic computing is an on demand virtual machine; why is it called compute? Because it is a virtual machine. The computer is the physical machine and the computing is the running of the program. If in my lifetime, I can build a system that has no driver and is automatically serviced, that can discover others and adapts to others, I will be perfectly content. In 2015, when Win10 came out, it jumped directly from Win8 to Win10 without Win9, because Win10 is the next generation of 1.0. There will never be Win11. This is the IoT operating system. I learned about this in 2002, so the Elastos name also fits this idea. Feng Wang: You once joked about yourself saying that you are an atypical entrepreneur: you choose to work on operating systems (which is too difficult), and you are 42-years old (which is too old). I read one of your early interviews, which mentioned that after graduating from university in 1982, you were admitted to Guangnan Ni’s Chinese Academy of Sciences Computer Institute as a foreign exchange student. At the time, Guangnan Ni was developing Hanka. He constantly called for China to have its own chip and operating system, and personally gave Red Flag Linux a platform that year. Is your insistence on the operating system influenced by Guangnan Ni? Do you still maintain contact with Guangnan Ni now? Is it possible to get more support from the government through him? Rong Chen: Someone just asked about AWS Lambda. First off, what you are asking about is very interesting. In 1985, artificial intelligence was booming. The last generation of artificial intelligence turned off many people, and it taught us many important lessons. At that time, we also learned what lambda is. So today, Amazon provides a lambda service (you can run the code without configuring or managing the server). In other words, on our Elastos network, full P2P is actually not realistic. There must be a server. Most of this server is a lambda service. Now let me officially answer your eight question. In fact, Chuanzhi Liu and Guangnan Ni were also around forty-two years old when they started their business. As I just mentioned, I started at Lenovo in the fall of 1982. At that time, it was not Lenovo. It was the 6th Lab (peripheral lab) of the Institute of Computer Sciences. We were working on Lenovo Hanka in that lab. Teacher Ni was a visiting scholar in Canada at the time, so I was lazy and often went to the library to learn English and not work because the teacher couldn’t see me. When I was in the United States, I suddenly discovered that a company called Lenovo was doing good work. I thought, could it be Lenovo is that lab I worked in that year? Just kidding of course… if I had been there, I would have followed along with the founder. However, I didn’t stay long, before I left to go abroad. Later, when I returned to China, I actually had lots of contact with Teacher Ni. I also admire him very much. Lenovo has contributed much to China, including Teacher Ni, who is tireless in his pursuit to give China its own technology. Teacher Ni worked hard on Red Flag Linux, along with many later versions of Linux, including making chips. I think it is very necessary for some key departments to quickly launch autonomous, controllable control systems. This does not prevent you from doing some basic research and development. We actually made some attempts and also reported this to Teacher Ni. But when it comes to letting him help, I feel it is beyond Teacher Ni’s abilities, because it requires lots of money. We need the support of industry giants such as Foxconn. This is not a situation where one or two people like Teacher Ni can help out. We have talked about Teachers Liu and Ni’s fight for a long time. I don’t know much about it because I was abroad. At that time, there were five people in our laboratory. I would go once a week. A teacher called Naigang Zhu, and Teacher Ni were our mentors. Every week, I would tell my teacher what I had done. There were a total of five people in our office, and I generally just said hello to everyone and moved along. I would talk to Teacher Zhu about what I did and then be on my way. Later, I learned how important it was to get to know people. At that time, there were five people in the laboratory. I didn’t even take the time to find out the names of those people. Among them, I later learned was Chuanzhi Liu. So in the end, I very much regret not being more social. If I had befriended Chuanzhi Liu, today things may have been different. But of course, I’m just joking about that! Feng Wang: Your story makes me emotional. They say that the times make the people, and personality changes fate. In your four decades, it seems there has been a major shift every 10 years: In 1977, Deng Xiaoping’s Education Ministry Head decided to restore the college entrance examination, and you were fortunate enough to be admitted among the first group in the Department of Computer Science and Technology at Tsinghua University; In 1987, you studied computer operating systems at the University of Illinois. In 1997, Microsoft announced that it had made a full-scale move to the Internet. At that time, when Window 98 was facing an unprecedented antitrust crisis, you were involved in designing a new generation of network operating systems .NET. In 2017, you and classmate Feng Han jointly planned to establish the Elastos Foundation. What are the opportunities that made you? I believe that in these four decades, you must have encountered various difficulties and challenges. What are the most important qualities in your personality? What have you hit on and what have you missed? Up until today, the door to the new world of Internet has been opened. What advice do you intend to give to the younger generation of developers? Rong Chen: I think my experience has to be divided into five decades. In 1967, the Cultural Revolution began. Because of family problems, I did not go to elementary school and went to the countryside. At that time, I grew up in the city’s compound and went to elementary school in the countryside. Actually, this was a very distorted life. When I go to school every morning, the neighboring children went in one direction. Four children and I went in another direction to the countryside. I was ten years old, and I suffered greatly from this episode. It was a very confusing, hurtful time. Later, because of my good academic performance, people said I was well-educated. Of course, my middle school teachers cultivated and encouraged me. Actually, it is the same thing, no matter what, don’t give up. Even if others have a favorable family background, society needs people who are from different family backgrounds; it needs people who will work hard. Those who engaged in revolution actually did not work. The ones who worked were the intellectuals who washed the toilets. The state was actually supported by these intellectuals. Later, I also had good luck. I was admitted to Tsinghua University, went to the Academy of Sciences, and then went to the University of Illinois. They were all very strong engineering universities. I was very orthodox and the training was very strict. Then I went to the Microsoft Research Institute. Therefore, working on operating systems is like my super power. I have taken many detours in the past because I was too confident. In fact, human capabilities are also very limited. When I returned to China, I thought that one person could write an operating system, but this operating system focused too much on technology. And because I worked on operating systems, I missed the Chinese Internet trend. In 1984 and 1985, the first generation of the Internet was called the “Internet”. In 1995, the second generation of the Internet was called the “Web”. I was exactly the tenth employee of Microsoft IE, and I participated in Active X. At that time, because I didn’t see the .com trend, I looked down on people who created websites. As a result, people have made a fortune on websites, and those who built the technology are unfortunate. Today, when we talk about Smart Web, it is just the Web as a Computer. Ethereum calls it the world’s computer. In fact, the Internet computer will very likely happen. This means that the Internet will run programs. At this time, many people want to create compatibility and transplant ease. For example, we will soon make some changes to some Android applications, which we will run on Elastos. But with more applications will come more opportunities. Because there will be traceability, DID (decentralized IDs), and scarcity, a huge smart economy will be born. This, along with the so-called Token feedback, encourages me. So I think this will be bigger than the current Web. Facing such a major opportunity, we should not get too tangled up in the blockchain. Instead, we should see the entire Internet. Almost all software and all business models have opportunities. Feng Wang: In 1995, the founder of SUN Micro, MacGregor, put forward a network computer (NC) claim that the Network is a Computer to fight against the skyrocketing Microsoft personal computer (PC) camp. Many years later, Amazon’s AWS and Ali Cloud occupied most of the global cloud computing market, turning SUN founder’s technology claims into billions of dollars in value. After many years, Nakamoto opened a Pandora’s Box, linking the Bitcoin network with the computational power of countless computer nodes. In the new world of blockchain, there is this view that the network is a supercomputer. This has once again become the topic of many decentralization technologists. History has jumped from computer productivity liberation to the revolution in computer production relations. What do you feel about this? I clearly remember when we used Napster, a music sharing software based on P2P technology. The founder’s name was Sean Parker. His company was eventually lost to the lawsuits of the American Music Copyright Protection Movement, even though he later invested in Facebook. He was able to take a small company from Harvard Yard into Silicon Valley and Wall Street, which made up for his losses with Napster. Many years later, Nakamoto once again took up the P2P banner, combined with a mathematical hashing algorithm, to bring the Internet of Information to the value Internet. I ask, what if Nakamoto met Sean Parker in the earlier days, would the world be rewritten? Will the technology wheel be re-spun? I’m just playing around with you. Rong Chen: First, whether it’s the network operating system you just mentioned, or the world’s computers, they all must run software. This computer must have a decentralized P2P network, but this P2P network must be able to transmit video, audio, and documents. It must be able to decentrally cash out, exchange cash, and be able to play decentralized games. If there is a PC that can run multiple virtual machines, the virtual machines do not know the distance between them. The virtual machines run applications between themselves, but how do the applications and services know if the virtual machine runs on Linux or on Windows? Are they running on a machine or a local area network? Or are they at the ends of the Internet? In fact, the program in the virtual machine does not know the actual distance. This is the start of the network computer. This Internet computer ID cannot be issued by a company. For example, the Internet is not controlled by a single company. This is a very important point of the blockchain. Plus, it operates automatically. In simple terms, we understand network computers and use some blockchain technology. It’s not that blockchain computers can do the work of a world computer itself. Blockchain can not do the work of a world computer. This is my foundational understanding of the world computer. For this basic reason, one cannot say how many computers Nakamoto connected together and how much computing power was created. That kind of computing power is completely different from the computing power of typical computers. First is the separation of computing from the network, which is the equivalent of Turing. Turing machines, which are applications that run in virtual machines, called programs, have nothing to do with the network. Just like when you make a phone call, you don’t see your phone connect to fiber, satellite, submarine cable, microwave, 4G, and 5G. Users cannot see the network. Seeing people as computers is also Turing equivalent. Since people can’t see the network, they can also make the application not see the network. Second is the separation of computing, network and security. We talked about security, such as ID, scarcity, notarization. These security issues are orthogonal to communication and computing. The relationship between them is that there is no direct relationship, just as there is no direct relationship between computing and the network. This is the basic understanding of network security, without which one cannot make a network secure. What is security and communications being orthogonal to computing? For example, when two mobile phones are calling each other, for some reason, people have to listen to and record the files. In fact, the two people who call the phone do not feel it. However, the sockets of these security plugs are obviously in the telecommunications system. These sockets are actually in the operating system (i.e. COM plug-in technology and dynamic insertion). In order to redirect the network traffic, the operator can listen to you or decipher your call at that moment. We don’t need to mention that the great firewall obviously did a lot of similar things. Simply put, I think the blockchain is a security module. In general terms, computing and networking are orthogonal and pluggable. These mature engineering practices are totally invisible in the blockchain project. Not to mention its speed efficiency, the software engineering ability of blockchain to do DApp is still very far away. Napster actually had two problems. The first problem with Napster is that although it was transferring music via P2P, there was a Napster.com. So if the music was pirated in the United States, it can legally be traced back to Napster, which is why Sean eventually closed it down. In addition, today we are doing a kind of decentralized P2P on the blockchain. So the things being transferred can be copyrighted things, such that we can achieve scarce sequencing. For example, if Feng Han writes a book, and there are 10,000 copies on the Internet, then I can sell it for half price. Originally, when I bought a paper book on Amazon, I could then go sell it for half price. But when I buy an e-book, I can’t sell it for half price. In other words, I can dispose of paper books in a casual way. That is my property. If the e-book I bought cannot be disposed of casually, it is not my property. If we can implement limits on the e-book, it can be sold at half price, have direct sales, which allows for salespeople to go out and sell it. In fact, this business model is currently completely absent. In other words, China began its reform by opening up 30 years ago and now has a private economy. Well, on today’s Internet, whether it is China or the United States, there is no private economy. Because of the blockchain technology, for the first time it is possible for there to be a private economy on the Internet. This is not a China issue. It is a worldwide, private economy of the virtual world. Of course, the blockchain also has a difficult to regulate side. For instance, no one can control it, and no government can shut it down. This time, if transfer pirated files, it is very difficult to catch it. But I don’t think pirating will be mainstream, because you can make money through it since this version is a program. In fact, if the author does not want his work to be pirated, he can decide that. Because this Internet has a notary office, lawsuits would be simple. Nowadays, if someone copies a book and passes it off as their own, it is difficult to know who is the original author. Today, on the Internet, it is easy to register a hash in the blockchain, and then verify who is the original author. Property rights will be clearer, and there is reasoning behind this. I think that piracy will gradually decrease. When it comes to government supervision, I will say a couple things. I don’t think that Bitcoin is money. It is a scarce valuable commodity. Some people call Bitcoin digital gold. This makes sense. With the flourishing development of a new generation of network operating systems, world computers or network computers, the opportunity to use agreements to do ICO will be small. As mentioned earlier, although the blockchain chain is the basis for building trust, there are only three to five public chains that people actually trust. The governments of various countries have suppressed Bitcoin, which has led many white-collar workers who do not understand IT to believe that Bitcoin is not controlled by anyone. Trust is not simply a technical issue. Therefore, there will be very few public currency Tokens based on the public chain. For example, the U.S. government only recognizes a few Utility Tokens. It is actually not very difficult to supervise this, because they are very limited. At present, many ICOs, in order to avoid oversight, strongly argue that they are Utility Tokens and make it seem like they are highly circulated. However, without the trust of the public, how can there be circulation? Speaking of the relationship between Elastos and blockchain… Elastos is an operating environment to run DApp. The blockchain is equivalent to the fingerprint recognition of mobile phones. It is a security module. The two of them have an inclusive relationship. Elastos includes the blockchain, but Elastos public chain is not directly customer facing. Of course, on the other hand, we will support the smart contracts in Elastos, and we will create a consensus-based website. Users will be visible, but such websites will have different consensuses. There will be different websites. When it comes to iTunes, because Elastos is a network computer, there will be two types of storage. One type of storage is like the public storage on a typical computer, such as the bin directory, where programs are placed in public storage and where each user can share files. Second is also storage, but rather personal storage, such as a Home Directory. Elastos’s personal cloud disk is a user’s personal storage on the network computer. Elastos will do IPFS with Kuaiya, which is the public storage of network computing. Elastos will also help DApp release Tokens. The convenience of the Token as a KickStarter-like project is that it provides equity benefits, similar to some startups issuing shares. Many countries tend to keep such ICOs under strict supervision. Currently, if you are financing through Kickstarter, there is no way to circulate immediately. The ICO Token can quickly circulate equity and allow angel investors to withdraw as soon as possible. You bought some Tokens that you can sell to others. All governments lean towards file systems, just like filing records with stocks. As long as you take responsibility for normal tax returns, many countries tend to be open about this. In summary: DID, traceability, scarcity sequencing, go to network operations intermediary, media player mediation, smart contract consensus Web services, six axioms… how much significance can we derive from these? I agree with what that group just said. The essence of Elastos is to support the six axioms of the Internet OS and through Tokens, to encourage the open source community to make progress. I think the number of public chains will decrease. For example, there are several public chains still going, such as Ethereum, Bitcoin, and of course NEO. From the public chain, I then think of the operating system. The operating system can handle hundreds. However, the mainstream thinking is that operating system can handle no more than three, because others want to make programs on the operating system. As long as it is making a program, development teams and small companies are reluctant to write ten different OS versions of the APP. Just now someone mentioned EOS. My opinion is that it doesn’t have an SDK, it doesn’t have its own programming environment, and it’s said that the OS is inaccurate. It’s said TPS is similar to the Galaxy machine and FLOPS. EOS is more like a machine than an OS. The Internet isn’t talking about TPS, right? There is no point. This is where the strategic thinking of the blockchain community is fundamentally defined as “machine” rather than “net”. The value internet cannot be a blockchain computer. From these two perspectives, it is easy to supervise. There are only about 3 to 5 public chain Tokens left, which is easy to supervise. Because as long as you do an ICO, you can’t hide. You must let people buy and transfer. Then it’s just a matter of filing for the SEC, so I think we will slowly go towards these two paths. Kuaiya is actually a very interesting project. It has recently financed Telegram’s billion-dollar fund and made a decentralized telegram. This means removing telecom operators. Kuaiya is also a short video social sharing platform. Through Air Drop or Wi-Fi Direct, you can do point-to-point transfers. We cooperate with Kuaiya. You can imagine that in the future people will play mahjong or cards directly with a few mobile phones. This is all quite possible. These are some of the entrepreneurial opportunities. Some of their short video transmissions and copyright sources can give Kuaiya a new business model. Of course, we still have many companies we are cooperating with, including Reactor, which is making a limited edition of their game. The goal is to make high-end items. These can have a copyright that can be sourced and resold. These are also new business models. In fact, I think we should cooperate with more Internet companies. Because there are simply so many companies on the Internet, because of the existence of several giant BATs, no one is having a particularly good time with entrepreneurship. If we had a world computer or Internet computer supported by the blockchain, then these self-employed people will be able to rebrand themselves. With this new concept, I think that they can rejuvenate their businesses. In contrast, the accumulation of blockchain traditional companies is not enough, and they have too little experience of facing 2C. This is why I am more optimistic about traditional Internet companies. We should look at the world’s problems, not at the short-term local market problems. Elastos is now a fully community-based operation. In fact, I’m already not fit for this kind of young people’s community, but I think it is absolutely encouraging young people to take a step forward in this kind of community-based operation. Ethereum calls it DAO, and Jiang Tao calls it DCO. I think they all have their own opinions, but this is definitely a new form of organization because of the new technologies we have just mentioned. Ultimately, it will affect the social organization, society, and everyone’s way of living. Alibaba is actually a very great company. What he has called the business of making things easy for the world to do earn money makes me feel his company goals are very respectable. Does Alibaba have a chance to do blockchain? Here is my philosophical point of view: if you have the opportunity to go see the Forbidden City, pay a visit to the Jiao Tai Hall, and you’ll see written “do nothing.” The meaning of “do nothing” is that you should not mix up business matters. Like the operating system, to make an intelligent network economy, open source, open, and community-oriented operation, there are no hidden benefits, because blockchain is 100% open source, and and virtual machines are 100% open source. It will not direct traffic to my server, so it won’t put money into my wallet. Alibaba, Huawei, Tencent and other big companies’ operating ideals are philosophically different. Therefore, to have such a network operating system that is 100% open is a separate thinking. Therefore, I will not evaluate whether you are better or worse because the product competition calls for constant self-improvement. There must be competition. Ali also has competition. Tencent also has competition, right? The product is competitive. Everyone fights to the death. You don’t need to show your code to others. If you get a hint or a leg-up, then you keep it a secret. It is not open source. So I don’t agree that some of the most extreme open source communities are not “open source” or “evil.” After all, when you compete, there is no open source. This is necessary. On the other hand, an internet platform is feminine and gives birth to everything. Why did Linux succeed? As long as it is an infrastructure, it must be 100% open source. No one can hide it, which is why Linux is what it is today. However, although Linux is remarkable in R&D, it is not good enough: mainly because there is no feedback nor incentive. Well, if there is a blockchain incentive, I think the open source community, including the Linux community, can be rejuvenated.